Still haven’t set up the coop for solar electric power but thought i’d provide this useful link for you to browse and put to use if you have a few chickens at home and are attempting to winterize your coop. More to come about the solar panel in the next couple weeks. All you need is a tin cookie jar, a lampkit or a dismantled lamp, a light bulb, and a 3/8 ” drill bit. 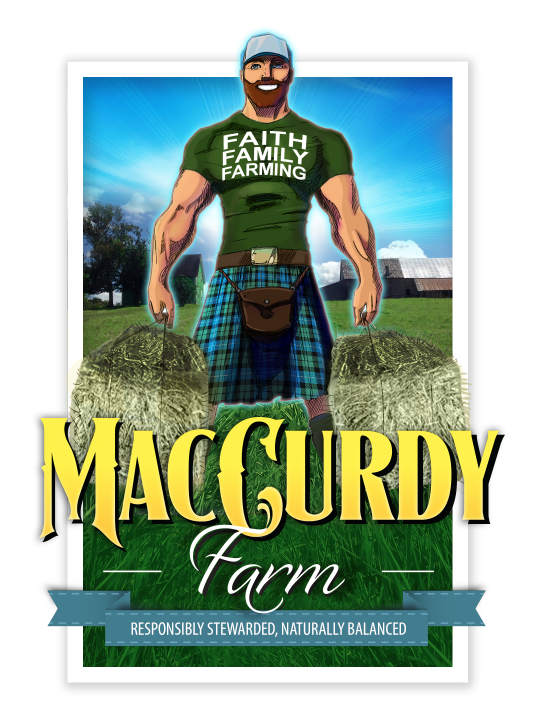 I would also like to thank Mr. Murchie in Doyleville for providing MacCurdy Farm with a half dozen more chickens for our egg laying operation. Much obliged. History is continually unfolding around us. It shapes our experiences. It calls for our attention. It is, without a doubt, a remarkably subjective experience. What matters in terms of importance varies greatly amongst all of us. On Sunday October 13, 2013, my brother-in-law and I made an impromptu trek to “The Best Sports City in the Western Hemisphere” to watch our Boston Redsox in game 2 of the ALCS versus the Detroit Tigers. Usually, when Spring baseball rolls around, we plan a trip to Boston to catch a ball game at the hallowed hall of baseball, Fenway Park. However, this season we somehow lucked upon playoff tickets to the ALCS, which we jumped at the chance to use. When you first walk through the concession grounds, into the shops, and along the brick walls you experience a sensory overload from the past images of Redsox baseball history that adorn the walls. As a lifelong fan, player, and promoter of the game of baseball, Fenway park is the creme de la creme and it’s an experience I’d recommend to anyone (even Yankee fans, yes I said it). After making arrangements with dad and mom to feed the chickens, my brother-in-law and I drove 8 hours to Boston to catch the game. We didn’t know what madness was in store for our first MLB play-off experience. In the bottom of the 8th inning, down 5-1 after a slow and uneventful first seven innings, one of the most clutch play-off performers in baseball history stepped up the plate with the bases loaded. On a first pitch inside fastball, Ortiz belted a grandslam on a frozen rope over the right field wall into the Redsox bullpen. If anyone has ever been to Fenway, you know first hand how boisterous the crowd can be after a nice hit, catch, or play. Well, if Fenway had a dome roof, it would have lifted off it’s moorings from the chorus of yays and yeahs that filled the crisp Charles river air. We were in shock and awe. We jumped, we high-fived, we looked at each other in dismay, and we yelled yeahhh at the top of our lungs. Boston tied the game and later, in walk-off fashion, the Redsox won the game 6-5 and eventually the series. In hindsight, it’s still hard to believe that we were there for a ball game that will undoubtedly go down as one of the best playoff games in Redsox history. The next morning, after saying goodbye to some friends who had graciously allowed us to overnight at their house in Charlestown, MA, we hit the road with our minds buzzing about the events from the night before. After replaying the spectacular sequence of events at the ball field the night before, I pondered the significance of the piece of history we had embedded ourselves into from our presence at the game. Questions, like the following, popped into my mind: (1) Why don’t we express the same feverish support of professional sports to movements of sustainable agriculture, anti-fracking, human rights, and healthy eating, for example? (2) If we can find extra money to enjoy a professional sports game, shouldn’t we also find extra money to give to charity, pay it forward, and support those in need? (3) Is it important to take time for yourself and do something, away from the norm, that brings you happiness and stress relief? The answer to the above questions is yes. There is a take away message from my experience at Fenway. Always reflect and then actively look for ways to connect life experiences to the passions that you uphold. Farming sustainably, organically, and ethically are of the utmost importance to me. For this reason, I applaud for all to hear, the laudable actions of activist groups who seek protection of our global water supply, the acts of defiance and resistance that groups, communities, and nations have taken against Monsanto and their GMO crops, and the environmental activists who dare to stand against the oil behemoths and other industries who wreak havoc on our precious planet. Sometimes, taking time away from the daily grind to support local artisans/athletes or taking a whirlwind boomerang trip to Fenway park helps recharge our batteries. It allows us to come back to our passion feeling revitalized, reassured, and enthused about our roles on this spinning marble we all inhabit. Not to mention it makes for great conversation starter at the dinner table after tending to the animals needs. It is important for all of us to stay committed to our principles but still find time to do other things that we love like watching a baseball game. A shift in the current paradigm is imminent and, in the absence of leisure activity, those of us who uphold sustainable organic farming practices are in the midst of an agricultural revolution that seeks to empower the small food producer and consumer. I actively cheer people around the world who are aware of its health impacts for our bodies and our soils. In every sense of the word, we are actively conducting the history writer’s strokes. In using a crude analogy, you pick a team to cheer for in baseball, you pick a side to stand on in food production. Farmers and consumers need to stand together in solidarity to continually pressure for change from our governments and in the status quo. Come join us at the Restigouche Farmer’s market in Dalhousie every saturday from 8 am to 1 pm. This most recent blog post is an inquiry into another eco-friendly form of power, sun power. The sun fuels the grasses and perennials that cover the landscape of the MacCurdy Farm. Why shouldn’t it also fuel the poultry winter housing? Recently, I finished the installation of the new three tab shingled roof on our 24′ x 11′ gambrel roof chicken barn, which we have erected on temporary concrete block footings so that it can be moved to the pasture, if need be. No harm in more portable housing. The barn is docked, so to write, near our other chicken coop for the approaching winter. Little by little the building is taking shape. Next comes the 1 x 8 barn board siding, the attached fenced in run for winter exercise, and a solar panel to provide adequate heat and lighting through the cold winter months. It seems to be an increasing trend towards self-sustainability in society and in keeping with that philosophy of mind, I had a personal eureka that getting off the grid as much as possible wouldn’t be such an intolerable idea. Perhaps, I am behind some of in terms of this school of thought but, in all due fairness, life’s journey has many twists and turns in our search for truth and love. I am putting a call out for a licensed electrician to install outlets, switches, light bulb receptacles, an inverter and a solar panel on our winterhousing chicken barn. Willing to barter or pay cash for some work on the barn. I am hoping to purchase a solar panel from Canadian solar but am willing to consider other options should any of our readers have suggestions for a solar panel that would provide enough wattage for several light bulbs and outlets this winter. Given that this barn houses our very hardy heritage breeds while the other production layers are in our insulated coop, there is no rush. However, I’d like to get started on the next project at the farm so any advice, encouragement, or suggestions would be much appreciated. Hoping someone out there can offer a guiding hand into this area. In the meantime, I’ll be working on the attached rain barrel and spout for the barn so that we can collect rain water for the chickens and thereby limit the amount of water used from our well. Finding ways to reduce our carbon footprint is always at the back of our minds. Recently, my father remarked on the importance of limiting the amount of contact to a cattle feed (i.e., perennial grasses) in order to maintain a higher feed value. Basically, the less the feed comes in contact with farm implements, more crude protein and other essential digestible nutrients remain in the feed. I nodded in agreement and added, “Imagine if the tractor didn’t touch it at all.” My father grew up in an age of industry post-WWII. The use of farm machinery, in land stewardship, is something to which my father spends a great deal of time marvelling. It is the reason for his uncanny ability to operate and maintain farm machinery, his devotion to Massey Ferguson, and his exhortations on farm machinery safety. However, despite this, he still sees the importance of the natural way of managing livestock, like giving cattle continual access to grass with minimal use of diesel powered tractors. However, it is breaking the forces of habit that takes time (much like my forces of habit in taking electricity for granted and not considering alternative sources of power) in realizing these ideals. So what do we do? Take the time to consider others ideas, endorse them, sew a seed for your interests and ideas, and converse about the endless opportunities that exist on the family farm. Something will undoubtedly come to be. Looking forward to hearing from you on these thoughts and ideas about a solar powered chicken barn. Please contact us via our facebook page or my email address, justin.maccurdy@live.ca. Thanks for reading!